German Chancellor Angela Merkel said she was optimistic world leaders would reach an agreement at next month's G20 summit in London, despite signs of rifts between Europe and the United States. said she was confident a compromise would be reached by world leaders at G20 meeting scheduled for April 2. "I'm very positive, I'm very optimistic that we will be able to come to an agreement together with the United States, with emerging economies such as China and India," she said Saturday, March 14. "We have to come up with substantive results." 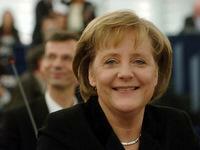 Merkel added that the summit would "be a positive signal to the world that we want to promote growth." Brown also voiced confidence, saying the London summit would seek to agree on reshaping the international regulatory system. "You'll see massive change in the supervisory system," he said. "It's going to include tax and regulatory havens where it didn't before," he said. "We must act to reshape the regulatory system for the new times. 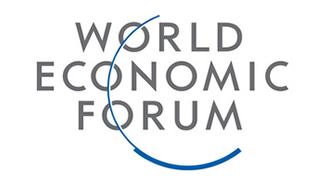 Regulation in one country must cooperate more closely with regulation in another country. 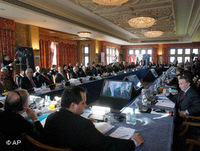 The announcements came even as finance ministers from G20 nations engaged in separate talks to set the foundations for the heads of state meeting in April. Splits seemed to have emerged in the G20 with the United States and Japan backing more stimulus spending and European leaders pushing tougher regulations as the best way out of the global economic crisis. Contrary to a the US position of spending more on stimulus packages to revive the economy, a German-French proposal focuses on international regulation to prevent future problems. Ahead of the talks, Alistair Darling, Britain's finance minister and host of the ministers' meeting, said he was "quite sure" progress would be made. "We are committed to deliver the scale of sustained effort necessary to restore growth," said a G20 statement issued after talks between finance ministers and central bankers. Finance ministers, however, seemed to have papered over differences between the American and European positions and instead focused on extra funding for the International Monetary Fund and other international agencies that loan money to struggling countries. "We need a commitment from countries that they will do whatever is necessary and as for long as necessary to support their economies," Darling said. "We really must take action to stop damage being done to the emerging economies, who are seeing money coming out of their systems." 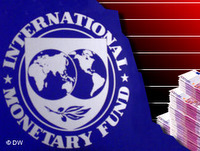 The United States has suggested that the IMF's lending capacity be tripled to $750 billion dollars, but European G20 leaders have come out in favor of doubling the bank's resources for $500 billion. The Asian Development Bank is also hoping for more money. "The G20 is ready to significantly increase IMF resources," a European source told reporters, speaking on condition of anonymity, adding that no announcement on the size of the increase would be made Saturday. World Bank chief Robert Zoellick, who was also present at the finance ministers' meeting, said additional spending would only provide a short-lived "sugar high" if governments failed to rid banks of toxic assets that continue to undermine confidence, trust and the desire to lend or invest. The G20 accounts for over 80 percent of the world's output, which is expected to shrink this year and by more than any year since the 1930s.